Browse our forms store to purchase forms. 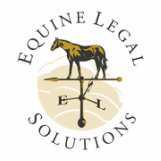 We design our equine legal forms to be the very best. Rachel Kosmal McCart, the founder of Equine Legal Solutions, personally drafts each one of our forms and the accompanying instructions. She designs the forms for routine horse transactions and situations, such as sales, leases, breeding and boarding. Rachel’s goal is make the forms comprehensive enough for equine professionals, but user-friendly enough for individuals. When properly completed and signed, each form is designed to be a legally binding contract. While our forms are not state-specific, they are designed to be used in any of the 50 U.S. states, and our customers can specify which state’s law will apply. Because we want our customers to have the very best forms available, no matter when they purchased them, we provide our customers with FREE updates – for life. The forms are in PDF format, which means our customers can type in the blanks, save filled-in documents, and print out professional-looking final documents. Our customers can use the forms as many times as they like for their own transactions. While our license agreement specifically prohibits posting our forms to the Internet, our customers can email and fax our forms as needed. Our forms are a hard-earned investment. We spend hundreds of hours and thousands of dollars just to develop a single form. These forms are the lifeblood of our business. That’s why we don’t allow anyone to post our forms on the Internet, and why we don’t post our entire forms online for customers to review before they buy. After all, if customers can copy our forms for free, why would they pay for them? While we understand that attorneys and other customers might want to use our forms as a starting point to develop their own documents, this use is specifically prohibited by our license agreement. The language of our forms is quite unique, and it’s our hard-earned intellectual property. That’s why we’ve registered each of our forms with the U.S. Copyright Office. Often, the language our customers inquire about editing is the very language they need to keep in their contracts to protect themselves. If our customers have a specific need not covered by the form they’ve purchased, we’re happy to credit the forms price toward the price of a customized contract. To order forms, all you need is a computer, and a major credit card. Once you place your order, you can access your forms immediately and save them right to your computer. It's fast, it's easy and it's secure. From time to time, our customers buy the wrong form by accident, or buy a form and upon reading it, discover it won’t quite work for their situation. In such instances, we’re happy to exchange their form for the correct one, or refund their money. See Our Equine Forms Guarantee for details.